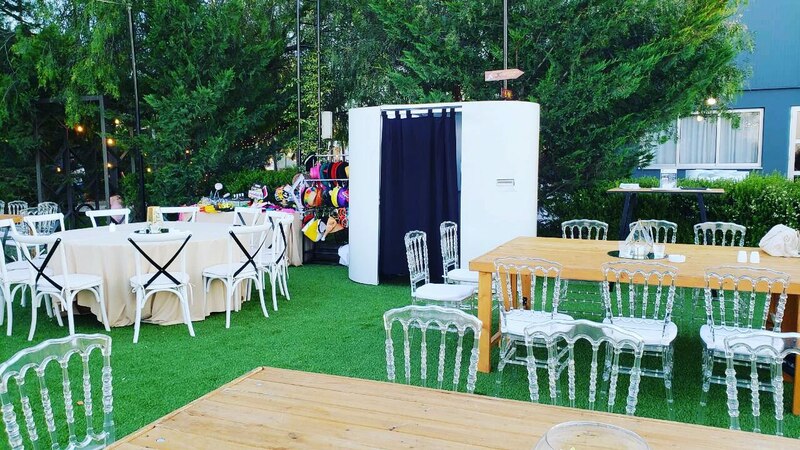 We love nothing more than providing people with a trustworthy, professional and magical experience to accompany their big days with Photo Booth Cyprus Hire! That’s why we cover a huge range of events and offer brilliant packages. That way you can always find your perfect fit! 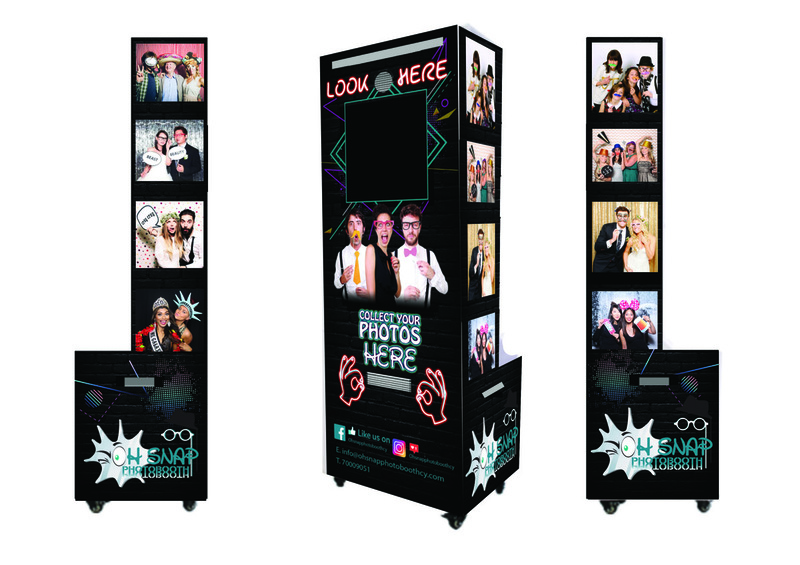 Smart, sophisticated and simply enormous fun, the Showtime Classic Photo Booth is a flash photo-making memory machine. 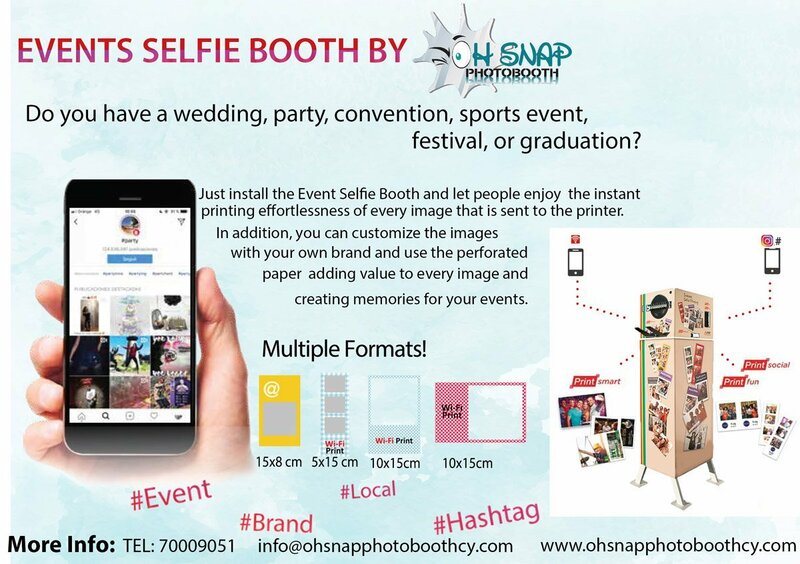 Give your guests the freedom to do their own thing for the camera, accommodating up to 4 people at a time. 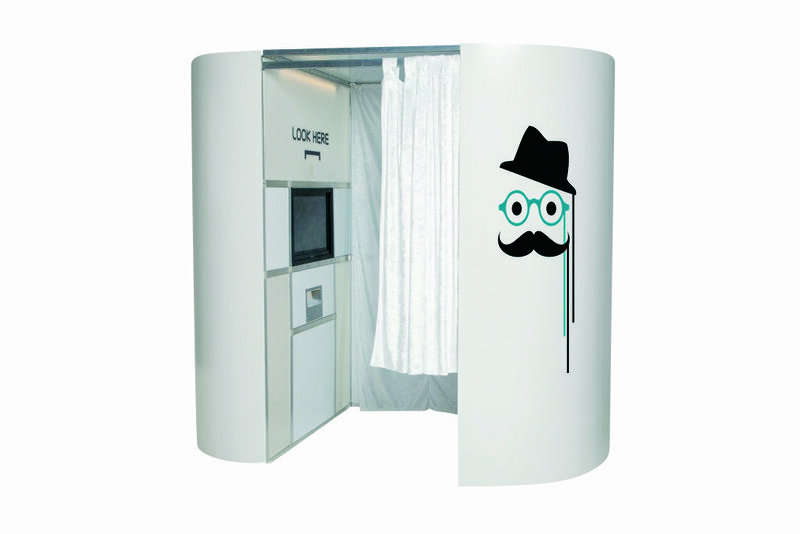 Squeeze a group of your colleagues, friends or family inside, grab a silly prop, press the button and strike a pose. And for something that makes such a big impression, the Classic won’t take up as much space as you’d think, but is guaranteed to keep your party buzzing from start to finish. 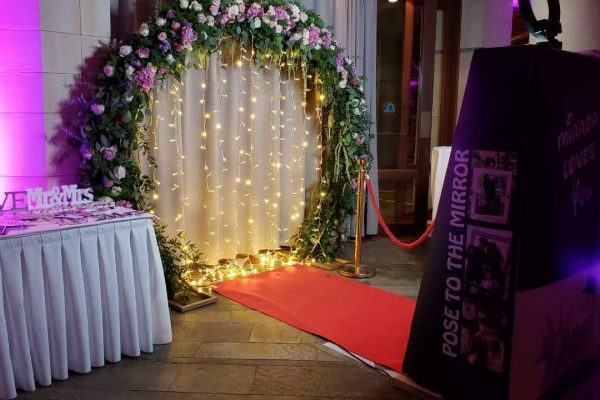 The Magic Mirror -Is the latest “to have” at parties and is popular within retail environments. Stand in front of the mirror and touch the specially integrated touch screen to take a full-length photo. Once your photo has been captured, personalize your photo with paint, by drawing a picture or scribbling a message on screen. The Magic Photo Mirror also has a selection of emoji stamps you can add to your drawings. Collect your prints in less than 10 seconds. Photo booth technology just leveled up! 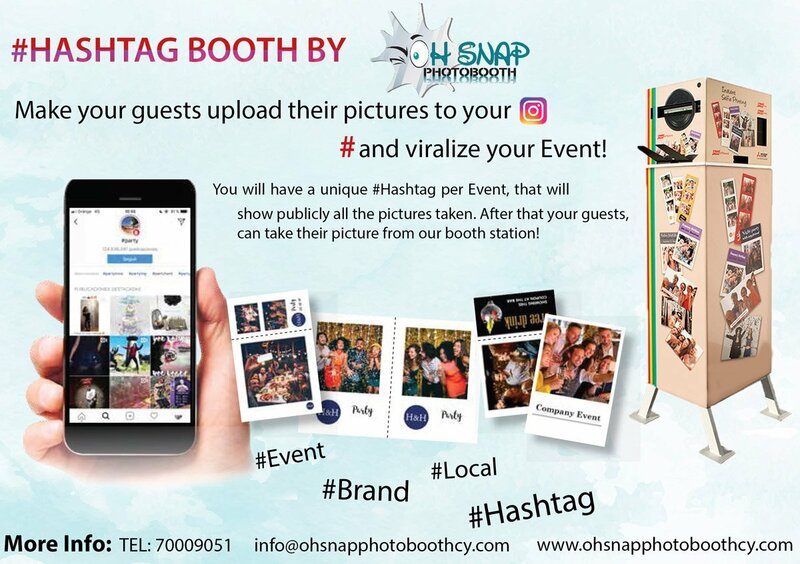 Say hello to the most effective, attractive and engaging way to entertain guests at your event. 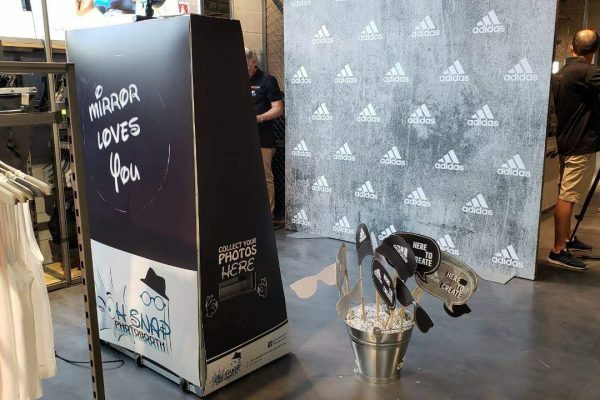 Highly portable and suitable for any space, the Magic Mirror Photo Booth looks deceptively like any other mirror at a glance. But with an intuitive user interface and a hi-res concealed camera, it’s the perfect way to entertain even the most cynical guests. 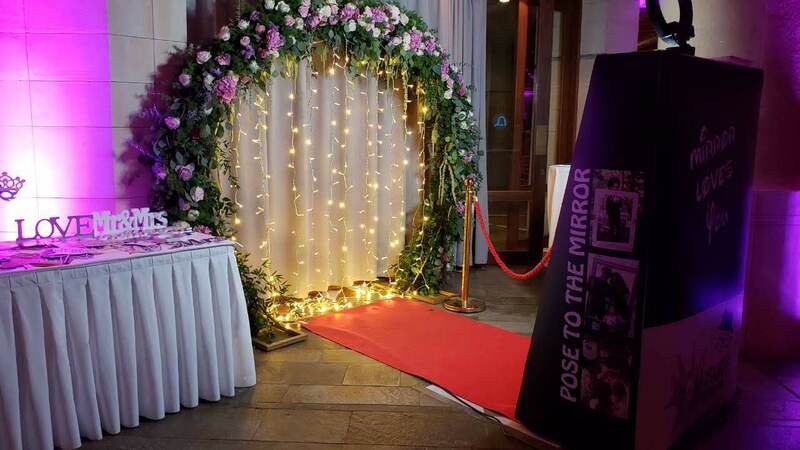 This Magic Mirror is guaranteed to have a queue of eager guests waiting to enjoy their turn. 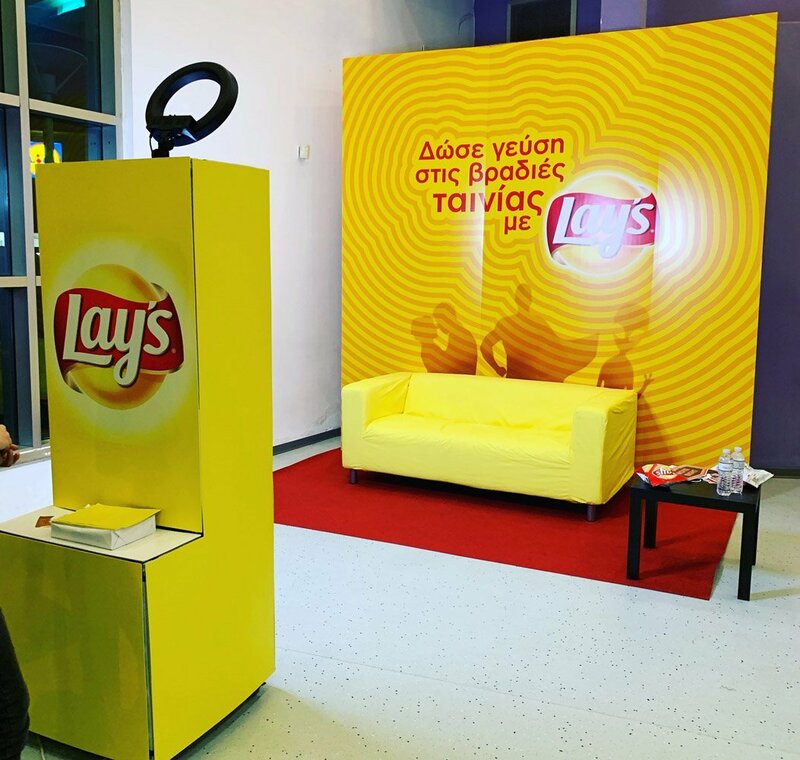 Brand new to Cyprus, we’re certain it will become a firm favorite. 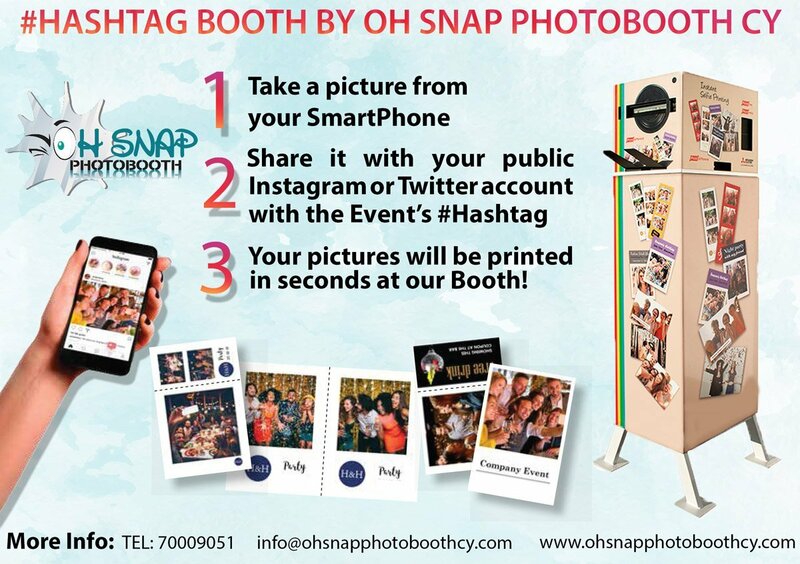 Smart, sophisticated and simply enormous fun, the Open Air Photo Booth is a flash photo-making memory machine. Give your guests the freedom to do their own thing for the camera. 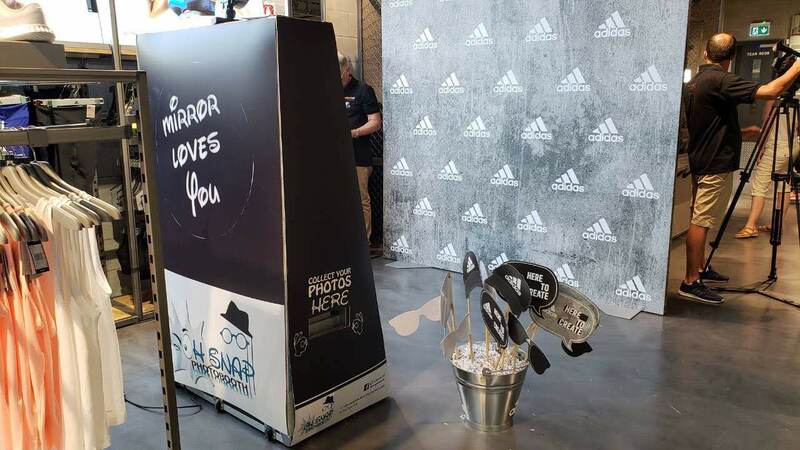 Squeeze a group of your colleagues, friends or family inside, grab a silly prop, press the button and strike a pose. 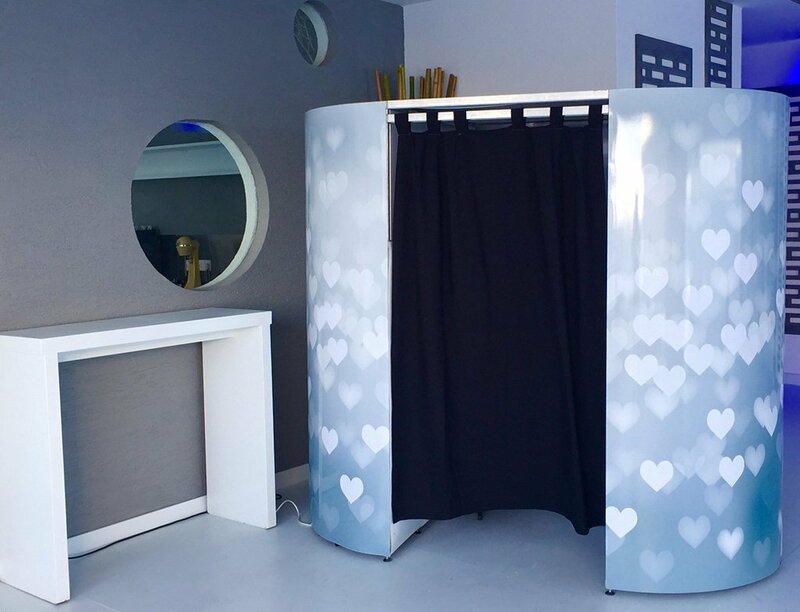 And for something that makes such a big impression, the Open Air Photo Booth won’t take up as much space as you’d think, but is guaranteed to keep your party buzzing from start to finish.